Betty Jane "B.J." Gischler, age 85, passed away in Pataskala, on Wednesday, March 27, 2019 at the Pataskala Oaks. Born July 17, 1933, in Columbus, Ohio to the late Elna M and Bernard M Easterday. She graduated from Etna High School in 1951 and The Ohio State University in 1955, with a degree in Home Economics. She went to work at Columbia Gas, as a home service advisor "Betty Newton". She married Frederick Leroy Gischler on July 15, 1956. Through her life she held a wide variety of jobs, retiring from DFAS, a US Defense logistics Agency in January 2000. She is survived by her husband, Fred; daughters, Elizabeth Condopoulos, Victoria (David) Farler; son, Frederick (Deborah) Gischler; grandsons, Matthew and Ian Farler, Christopher, and Thomas Gischler; granddaughter, Lauren Gischler; sister, Bonnie (Carel) Ellinger of Granville, Ohio. She is preceded in death by her parents and brother, William Carl Easterday. B.J. was a past Worthy Matron of Wahneta Chapter #235, Order of the Eastern Star, Pataskala, Ohio, a member of Daughters of the Nile Temple No. 87 and a past high priestess of Thea Court No 5, Ladies Oriental Shrine of North America. 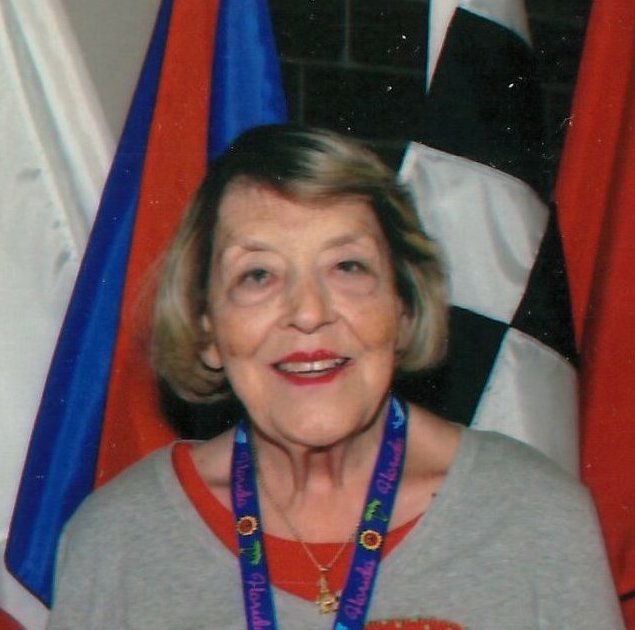 A memorial gathering will be held on Monday, April 1, 2019, from 6:00 to 8:00 PM at PFEIFER FUNERAL HOME, Reynoldsburg, where there will be an Order of Eastern Star and Ladies Oriental Shrine of North America service at 7:30 PM. In lieu of flowers, donations may be made in Betty’s memory to the Shriner's Hospitals for children @ donate.lovetotherescue.org. Online condolences available at www.pfeiferfuneral.com.